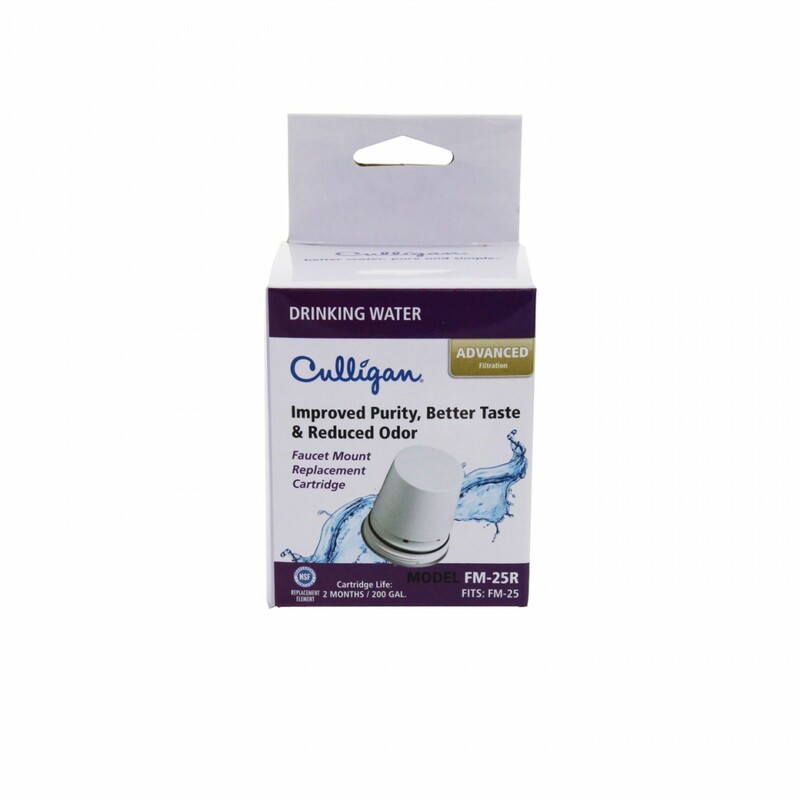 The FM-25R Culligan replacement faucet filter helps ensure your FM-25 faucet filtration system continues to pour the cleanest tasting water possible. 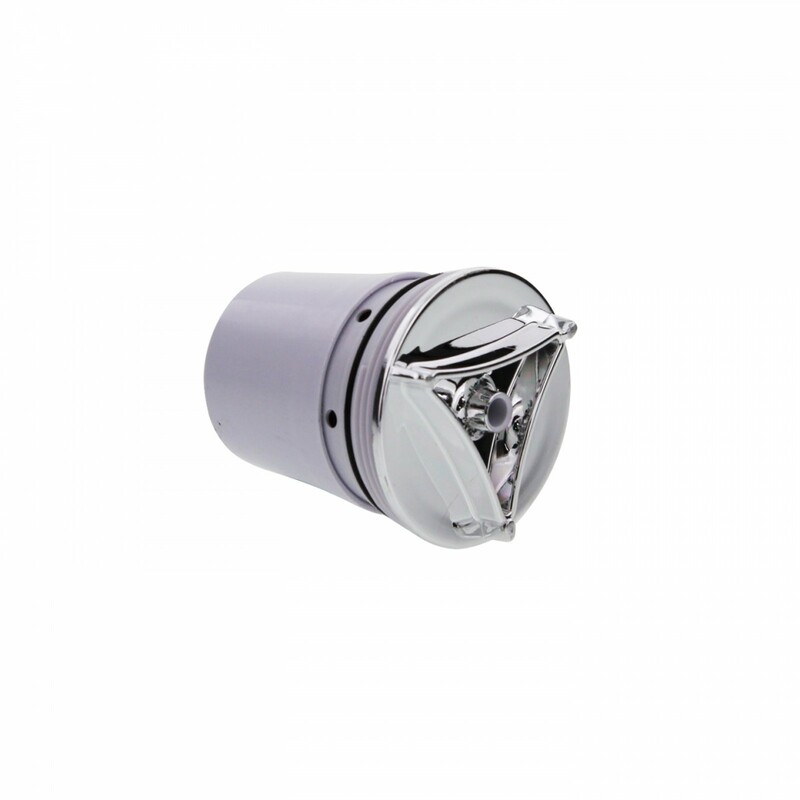 Designed with a polished chrome finish and built to reduce foul taste, odor, lead and more. 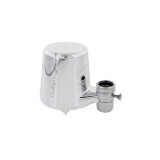 For best results, replace this filter after two months or after 200 gallons of usage, depending on water quality. Order the FM-25R Culligan replacement faucet filter from us today. The CULLIGAN-FM-25R does not reduce fluoride. 2. Unscrew the filter cartridge from underneath the housing. 3. Turn the finger tabs and allow the cartridge to drop down in your hand. Some water may come out when filter cartridge is removed. 4. Dispose of used cartridge. 5. Insert new filter cartridge up into housing and turn 2 and a half to 3 full turns, until it stops. 6. Flush new cartridge for 10 minutes to remove carbon fines. 7. NOTE: If filter leaks, turn cartridge to make sure it is completely sealed.